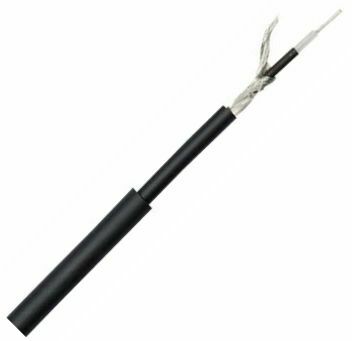 Dap Audio MC-216 high quality 2-Core screened cable with spiral wound screen and cotton fillers to maintain cable shape and strength. Manufactured from a rubbery like PVC which gives it a high degree of flexibility. Suitable for use with all jack and XLR connectors, this cable is our most popular cable used by theatres, musicians and production companies. (100m reel). IMG Stage Line MLC-122 is a very high quality 2-Core oxygen free copper screened cable. The cable has a dual screening, inner screen is conductive plastic, the main screen is braided tinned copper with an aluminium foil. This is the cable which is used in our prefabricated Neutrik audio leads.